Wales has a long and rich history featuring many tales of love, loss, and war. All the mansions and battlefields that have seen blood spilled. All the lakes and valleys said to be haunted. There are said to be dozens of haunted castles in Wales – a hangover from the bloody past all European countries seem to share. This is a list of 10 Haunted Castles In Wales. haunted castles n Wales really aren’t as rare as you might think. 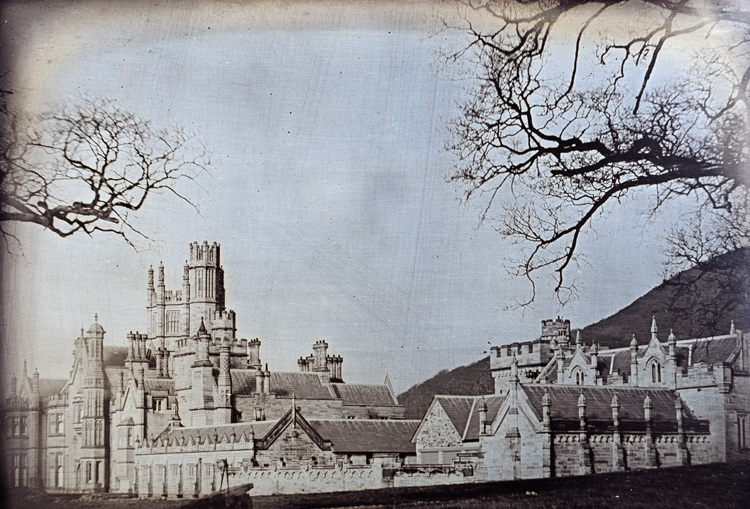 Built in the 1830s, Margam castle is one of the most beautiful Victorian castle. But it’s history stretches back to the 11th century as the land was occupied by monasteries since then. A castle as Gothic as this one housing ghosts would come as a surprise to no one. Maybe that’s why it’s widely considered to be occupied by the ghosts of long dead Victorian children, including the daughter of it’s first owner. They say Margam castle is haunted by the ghostly spirit of Robert Scott, who was once the gamekeeper on the castle grounds. He is seen walking up and down the staircases looking for the person who murdered him and reacting violently to whoever approaches. The castle is also said to be home to the spirits of several monks from the 16th century who keep the castle grounds safe from evil forces. Built in the early 12th century, Oystermouse castle was a Norman stronghold during their expansion into Wales. But in just 10 years, the Welsh captured and destroyed the castle. It was then rebuilt but the Welsh captured it again in 1137. In 1220, the area was recaptured by English forces who expelled the Welsh and restored the castle as a symbol of their dominance. It was the finest castle in all of Wales. But it was neglected after the middle ages and was left to crumble and decay. Some claim a hangover of this bloody history is mysterious paranormal activity within the castle. Legend tells that every full moon the ghosts of long dead Norman and Welsh forces return to the castle and do battle, their deranged spirits forever focused on destroying their enemies. Soldiers of horseback are known to chase down visitors to the castle during these times, so be careful. 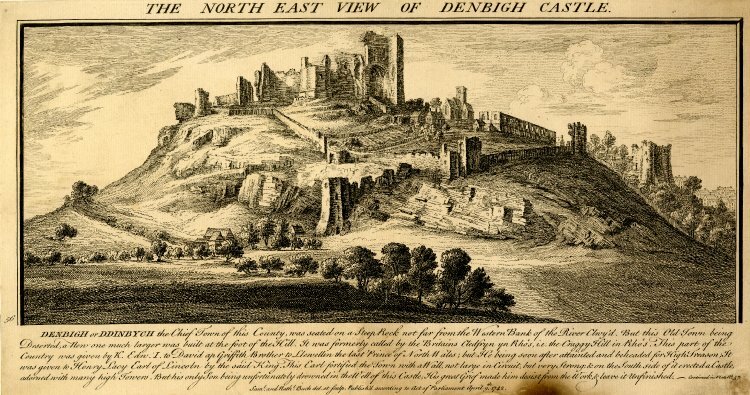 Built in the late 13th century, Denbigh castle was the King of England’s stronghold in Wales. It was built to withstand heavy attacks, with a notorious triple-tower gateway. The castle was built on the site of an old Welsh fort used by the Prince of Wales, who was swiftly executed by the English. During construction, the unfinished castle was captured by Welsh soldiers. 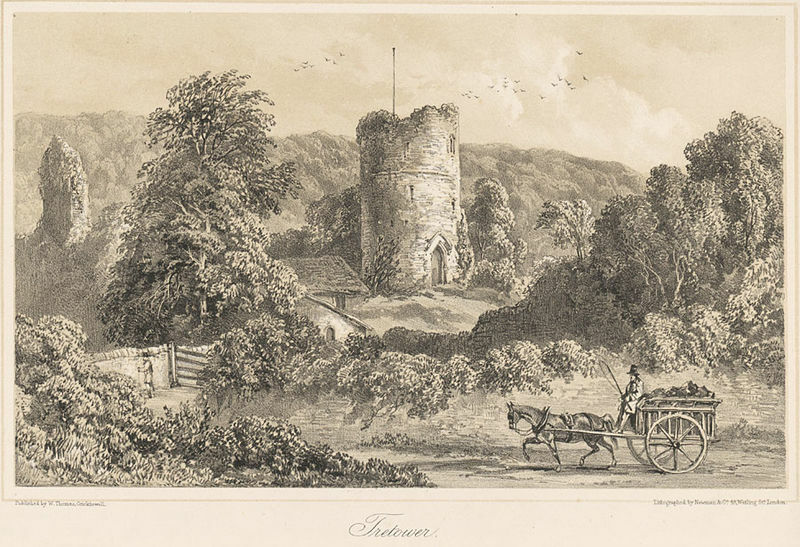 This delayed construction but Denbigh castle was eventually finished and used by the English through the War of the Roses and even the English civil war, when it was used as a prison. Denbigh was completely abandoned after the civil war but it saw it’s fair share of battle. One of it’s remaining towers is known as goblin tower. The tower is supposedly haunted by the ghost of a teenage boy who was thrown to the ground from it after being accused of having an affair with a nobleman’s daughter. 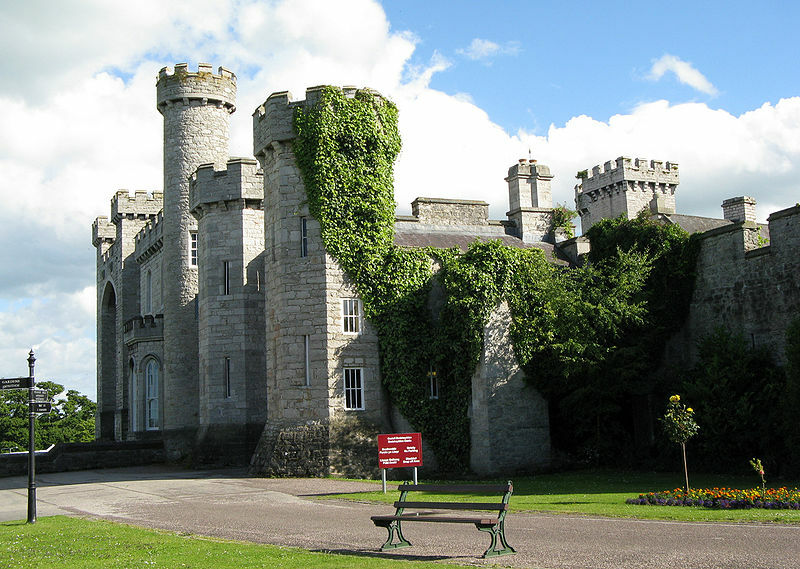 Built in the mid 15th century, Bodelwyddan Castle was used as more of a manor house. Despite missing out on bloody battles, it is still said to be one of the most haunted castles in Wales. Local legend tells the galleries are walked every night by several ghosts desperate to be put to rest. Apparently burying their remains would do this for them. During the castle’s Victorian reconstruction human bones were discovered in a chimney. They were bricked back into the castle walls where they remain now. Built in the 12th century, Roch castle owned by the Norman Knight Adam de Rupe. His family line was broken in the 15th century and ownership of the castle was disputed. In the early 17th century, it was lived in by the Walter family until they were chased out and burned to death during the English civil war. They didn’t own the castle for long but perhaps some of them never left. The ghost of Lucy Walter has been reported emerging from the castle walls and grabbing at peoples hair. She lures them close by knocking on the wall and letting their curiosity get the better of them. Largely built in the 12th century, Tretower castle now lies in ruins. It was a sturdy and impressive stronghold but the Lords of Tretower eventually moved to more grand homes and it was left abandoned. By the Victorian era, the castle was in complete ruins. Sneak into the castle on a dark night and you may feel very uncomfortable… as if you’re being stalked. You may even see the figure of the ghostly “white lady”. She appears in the bed chambers but will follow you anywhere in the castle or the surrounding area. She doesn’t bring harm to people but people are seldom fearless in her presence. 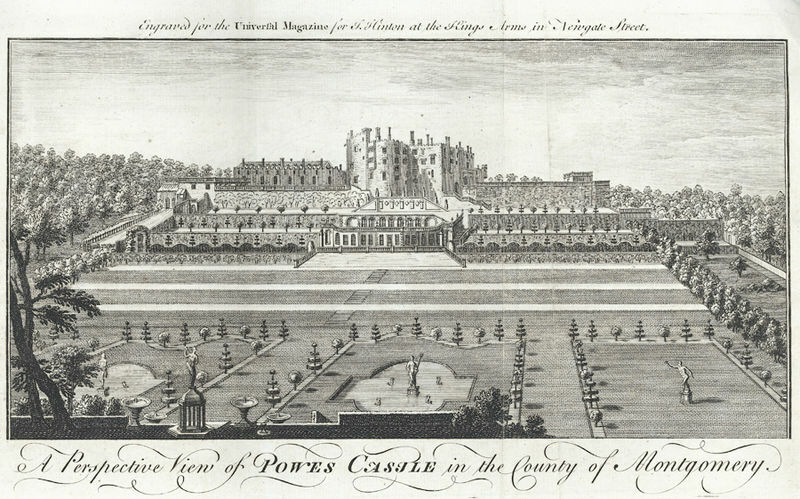 Built in the 13th century, Powis castle is possibly the most grand castle to survive it’s century. It is unlike most other castles on this list as it wasn’t built by English rulers. It was built by the Welsh and served as the home of a long line of Welsh princes. They say a lady in black can often be seen standing on windowsills and sitting in chairs next to the fireplaces. The last people to leave the castle often hear her playing the piano when they are walking away outside. I would quite the job immediately if I heard a ghost playing the piano. It would just be creepy. The history of Gwydir castle can traced back to 600 AD. At that point it was just a small fortification that was constantly fought over by rival Welsh rulers. It was upgraded to a castle around the year 1500 AD, and was called home by the Wynn family. They lived here peacefully for many generations but eventually it’s bloody history caught up with it as it’s now thought of as one of the most haunted castles in Wales. There is a room known as ‘the ghost room’ as Victorian stories describe a white haired female ghost roaming inside. According to legend the Lord of Gwydir Castle once perused a secret relationship with a young chamber maid but ended up murdering her and bricking her corpse inside a chimney. She still haunts the room she was murdered in – heart broken and deranged. 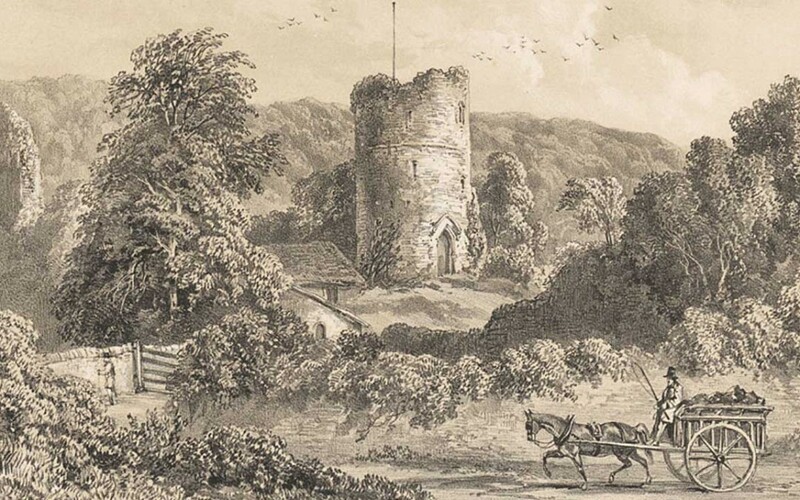 Built in the 14th century, Candleston Castle stood strong until being abandoned in the 1900s. Now in ruins, locals know it as “the ivy covered ruin”. Over the years it saw war, disease, and feudalism, just like most haunted castles in Wales or beyond. Many strange old stones have been found inside the castle and in the surrounding grounds. One of these is called the goblin stone and is magically enchanted so that people want to touch it. When someone touches it, they’ll be stuck to it by ghostly forces. The only way to escape the paranormal grip is to pray to god and hope he saves you! 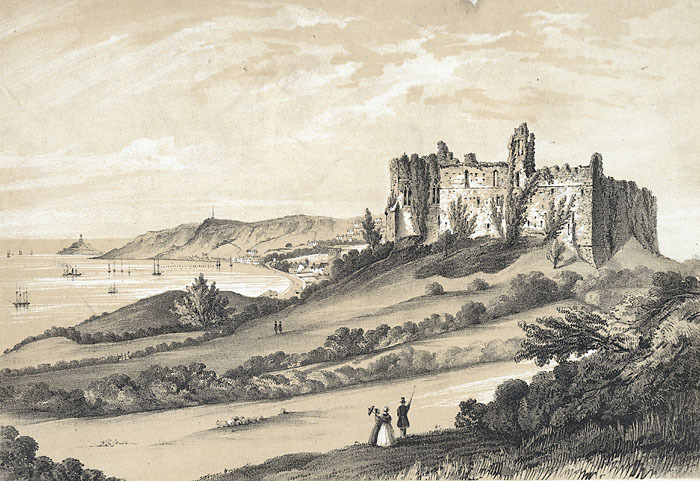 Craig-y-Nos Castle was built during the 1840s and is a prime example of how the Victorians loved romantic gestures. It was built by Captain Rice Powell, who was said to be cursed along with the rest of his family. The perfect man to build a haunted castle. It is said to be haunted by the ghost of Adelina Patti, who lived and died in the castle. Her body was also embalmed. Many visitors at the castle report terrifying encounters with her while they suddenly find it hard to breathe. The castle was briefly used to treat children with TB. But most of the children treated there died swiftly. They say dozens of child size figures appear and walk the corridors at night. There are so many more legends about the hauntings at Craig-y-Nos Castle; we’ve barely scratched the surface. Of all the Haunted Castles In Wales I think this is the most bizarre.